Storm Geomatics Surveyors started the New Year with the completion of a Water Awareness and First Responders course provided by Blueprint Water Safety. The day long course covered the theory and practical sides of water safety. The team were able to test out new techniques for movement in shallow water and fast flowing water. 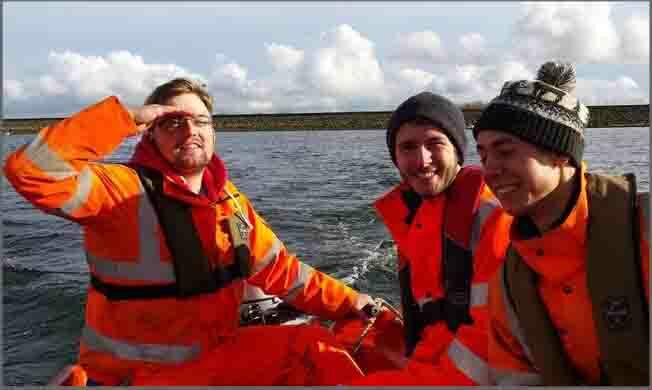 The training emphasised the importance of wearing the correct P.P.E and the surveyors were able to test out Storm Geomatics' new inflatable raft! 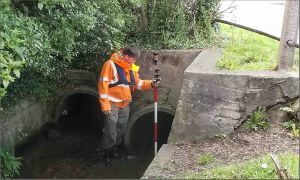 Watch our video to see how the surveyors got on in the river. Bewdley Property Level Protection Survey (PLP) has been undertaken in December in association with the EA. 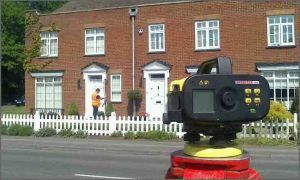 Approximately 55 property threshold levels around Bewdley were surveyed. In November 2000, Bewdley suffered serious flooding. By November 2005 and 'invisible' flood defence was completed, where 450m of demountable flood defence was built. The results of the PLP Survey will be used as part of a new scheme where if eligible, residents can apply for a grant to protect their homes from any future flooding. A team of surveyors spent two days in November at a RYA Powerboat Level II Training course. The course gave the surveyors knowledge and practice on launching and recovery, boat handling, securing to a buoy, anchoring and man overboard. RYA qualifications are known internationally and the courses are designed for the level of skill you want to achieve. Gaining a RYA qualification allows our surveyors to use powerboats competently and safely on site. Guy Martin takes on his next world record attempt in Dumfries and Galloway for his second series of "Speed" on Channel 4. Mike Hopkins joined Guy to prepare to measure the speed as Guy attempts to break the world speed record for a hovercraft on Loch Ken. 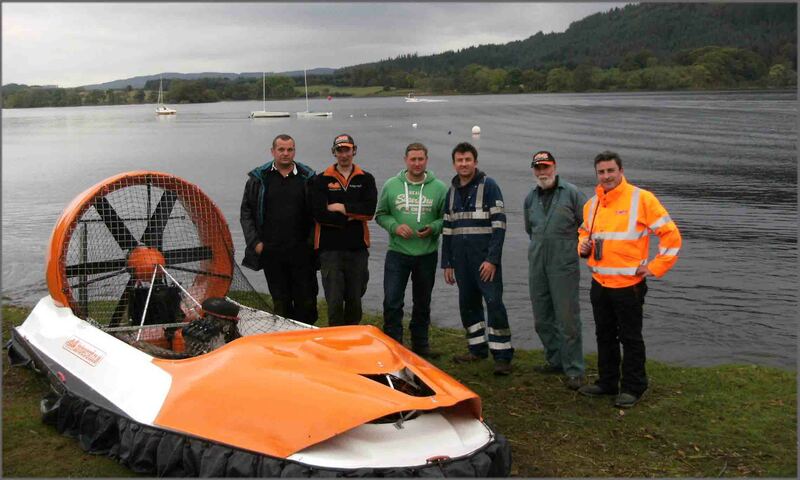 The hovercraft speed attempt will be shown on Sunday 8th November at 8pm. 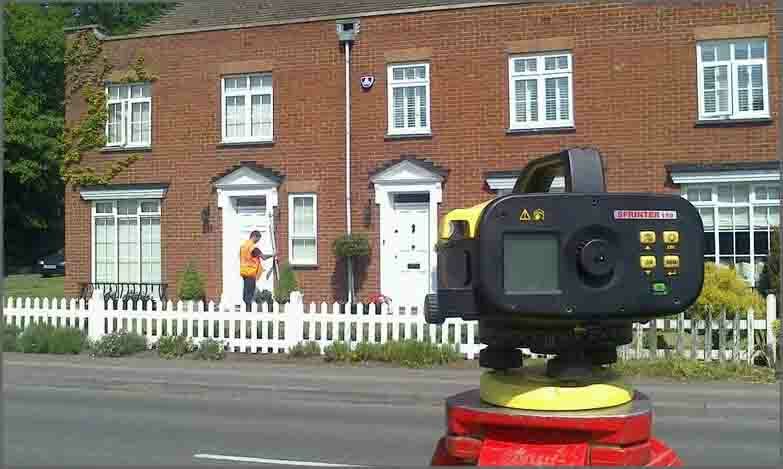 In September we had teams surveying in the Thames Valley as part of a three stage threshold survey. Stage three covered houses from Marlow to Teddington. Over 1000 houses were surveyed at this stage, generating an approximate total of 3000 houses across the three stages of the threshold survey. The purpose of this survey was to assess the eligibility for a grant to help protect from future flooding and repair damage caused by previous flooding in the Thames Valley. 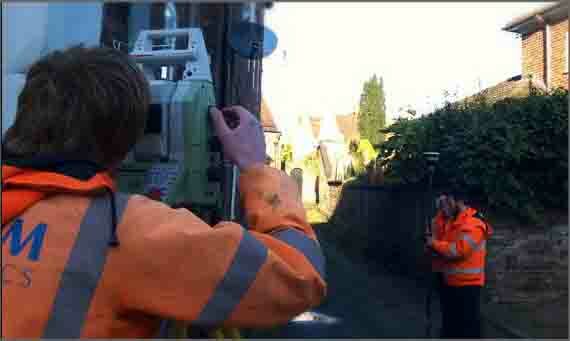 Storm Geomatics surveyors have spent eight weeks surveying for Gatwick Airport Limited. 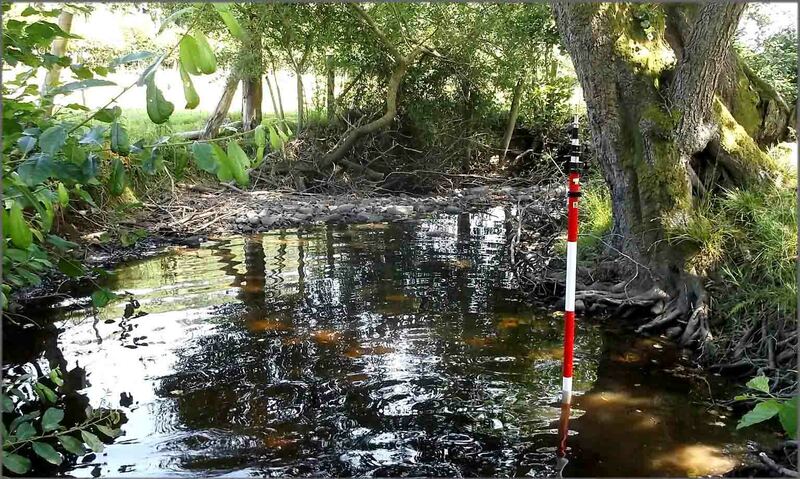 After last winter's flooding at Gatwick Airport North Terminal, the Environment Agency, in partnership with Gatwick Airport Ltd commissioned Storm Geomatics to carry out river channel surveys across 20 watercourses to a length of 63km. The project involved analysing large amounts of historical data, and validating that information with on site observations. 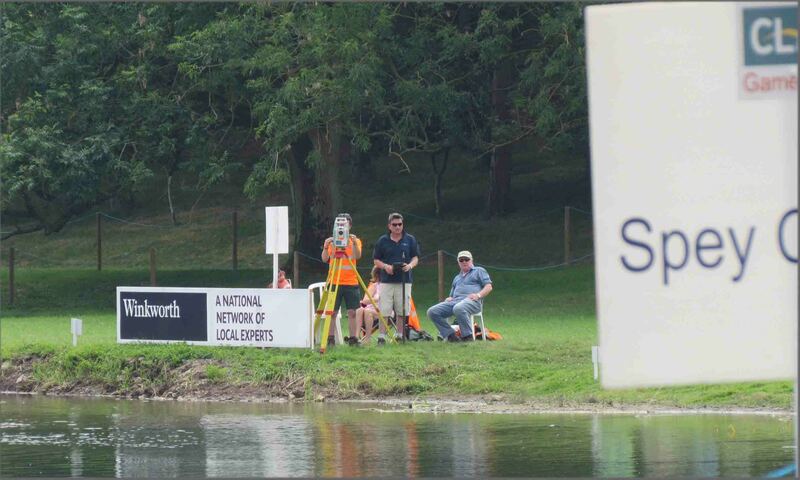 For the fourth year running Storm Geomatics were asked to measure the distances at the Open Spey Casting Championships at the CLA Game Fair - this year at the beautiful Blenheim Palace. Spey casters from around the globe converge at the Game Fair every year and spend two days looking for that one cast that shoots further than anyone else which will get them a place in the final. 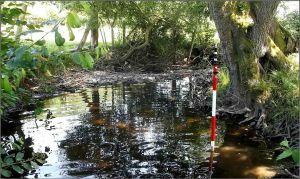 Surveyors at Storm Geomatics spent the majority of June on a challenge to capture critical data on hundreds of Environment Agency assets within the Midlands, Thames and Yorkshire regions. The company's recent boost in capacity has opened doors to bigger projects with tighter deadlines - and this was no exception. 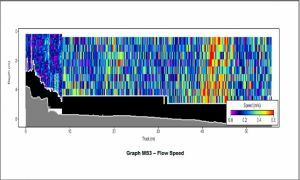 Assets were supplied as GIS files by each region which the survey teams uploaded onto their Leica controllers. The long awaited big show and conference for the Geomatics industry arrived on 28th and 29th May in the form of GeoBusiness. Through The Survey Association Mike Hopkins MD sat on the technical committee for the show which sifted through the 110 papers submitted to the parallel conference. 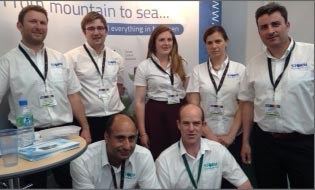 The show was world class in every way providing a platform for international business in the geomatics sector. GeoBusiness is the brainchild of the three key survey organisations in the UK - TSA, RICS and CICES and was also heavily supported by the AGI. A major energy company commissioned Storm Geomatics to measure the flow rates through a number of lock gates on The Manchester Ship Canal. The measurements are to be used to calculate the leakage through the gates and contribute towards an energy calculation for the installation of a new water turbine. Storm Geomatics combined forces with personnel from the new Storm Geomarine team to bring logistics, acoustic, positioning and analysis skills together to solve the problem. Site conditions were difficult, but good planning, experienced staff and a good understanding of the project outcomes provided the client with exactly the data they needed.